Their epic love story has captured the hearts of millions and enchanted readers across the world. 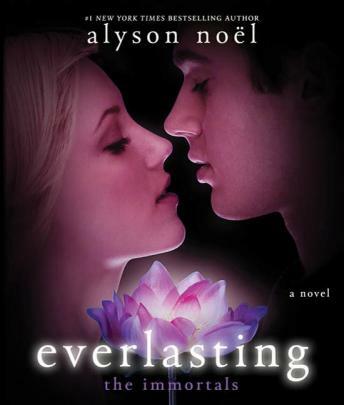 Everlasting is the beautiful finale to Alyson Noël's bestselling Immortals series, in which their journey draws to a spectacular conclusion-where all will be revealed. Their darkest enemies now defeated, Damen and Ever are free to embark upon their final quest-to free Damen from the poison lingering in his body. If they can just find the antidote, they'll finally be able to feel each other's touch-and experience the passionate night they've been longing for. But their fight to be together will lead them into the most formidable terrain yet...into the dark heart of Summerland. Here in a land of scorched earth and endless rain, Ever and Damen will discover their relationship's hidden origins, expose a secret history they never imagined...and come face to face with the true reason fate keeps tearing them apart. Only then, when the final mystery is unraveled and the last secret revealed, Ever and Damen's future will hinge on one ultimate decision that will put everything at stake....even eternity.